MARINE PARK, Brooklyn (WABC) -- A funeral will be held Monday for the boy killed last week by a falling flower box in Brooklyn. Services will be held at Good Shepherd RC Church in Marine Park for 8-year-old Kevin Reilly. Investigators say he was playing in front of his Ryder Street home when he reached into a concrete window to get a basketball and grabbed onto the planter box at the second floor. The four-foot box broke free and fell on his head. The flower box was so heavy that witnesses said his mother couldn't even lift it off of him by herself and had to enlist the help of good Samaritans passing by. Neighbors hope the tragedy will prompt inspections of homes with similar concrete flower boxes. 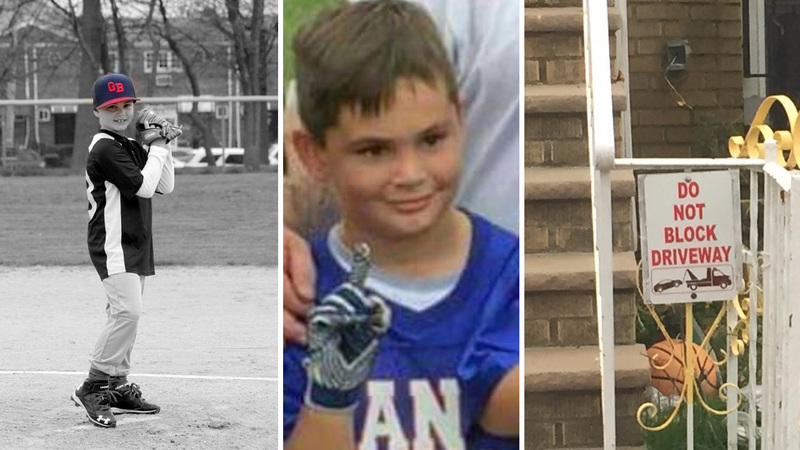 A memorial service for Kevin was held Friday at a Little League field in Brooklyn.